Phoenix, AZ – Sonoran Prevention Works (SPW) is pleased to announce that it has distributed over 100,000 Naloxone doses since January 2017, with 4,553 reported lives saved. Naloxone, also known as Narcan, is an emergency response medication that is used to reverse an opioid overdose and was approved for layperson distribution in 2016. 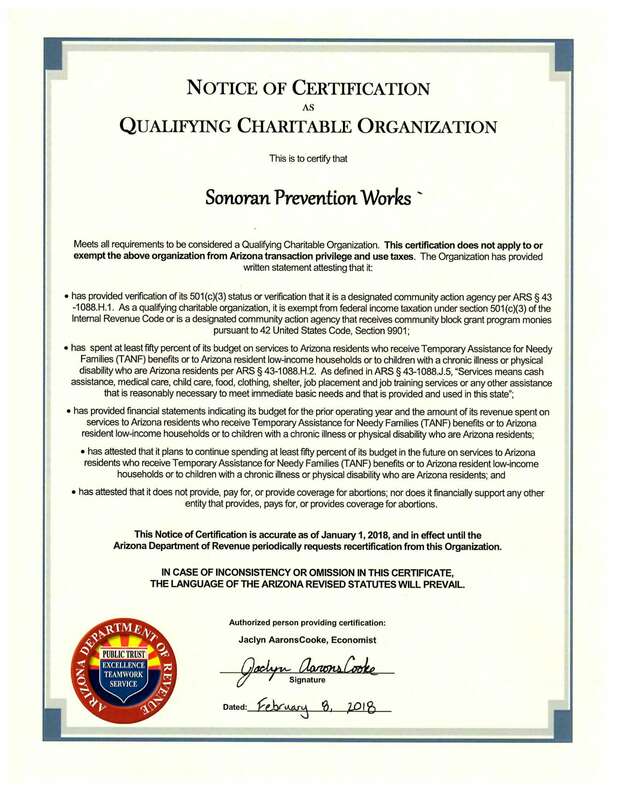 Sonoran Prevention Works has reached this benchmark in ensuring access to Naloxone through partnerships with AHCCCS, public health providers, community organizations, families, and individuals. Not all reversals are reported, thus the reported amount of lives saved is conservative. Since June of 2017, the Arizona Department of Health Services reports that there have been 1,613 suspected opioid deaths, without Naloxone, this number could be incredibly higher. It is crucial to continue efforts to get this live saving medication out to those who need it. SPW operates the state’s largest free naloxone distribution and overdose prevention program offering education and resources to behavioral health agencies, hospitals, law enforcement, family members, and people who are at risk for overdose. Any organizations or individuals wishing to have naloxone on hand, please contact Sonoran Prevention Works today.